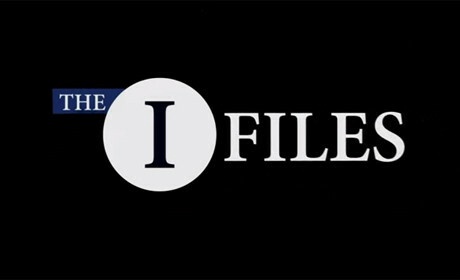 The Center for Investigative Reporting has launched a new investigative news channel on YouTube, The I Files, with the aim of acting as a "showcase for the best investigative news videos from around the world". The first videos went live on the channel today (2 August), including curated video content posted on YouTube by its collection of contributor outlets. Content featured will range from short animations to full length documentaries. "We will be working in association with the Investigative News Network and its coalition of 60 nonprofit news organizations, from NPR to the Pulitzer Center on Crisis Reporting and the Investigative Reporting Workshop at American University," Talbot added. The channel is being run by the Center for Investigative Reporting, based in California, with an aim to "dig deeper and to present well-reported and engaging stories that offer real information and insights". Talbot describes the channel as an experiment, with the idea fuelled by the growth on online video and studies showing "the trend of people turning to YouTube as a source of news and information". In an article on The Bay Citizen online engagement co-ordinator for The I Files Julia Chan added that the channel "has the potential to create significant impact by engaging new audiences in the value of investigative reporting by exposing what is happening in our world". "These connections will help support a network for and give a platform to lesser-known and less-resourced video journalists." She also said the channel will also run a 'The I Files Futures Award contest', working with journalism schools to invite students to send in their own videos with the top 10 to be aired on the YouTube channel. Earlier this year Journalism.co.uk reported that the Center for Investigative Reporting and the Investigative News Network had joined together to launch a new investigative journalism YouTube channel, after receiving $800,000 in funding from the Knight Foundation.